I wrote this mid-August (with my phone, using one thumb). I've since dealt with my mountain of junk in the laundry room (thanks to my husband's gentle prodding), and the kitchen has been reorganised and decluttered. The closet full of baby clothes is still waiting. I'll have to stock up on podcasts and tackle it. I've been in a slump lately. Maybe for the past two years. I've been mired in discontentment and envy and maybe even bitterness. I've forgotten that when I do things for my house, I love it more. I've forgotten to take the time to do things for myself. I've forgotten to take pleasure in beautifying my surroundings and instead focused on all the work that was staring me down. That I just kept putting off because it was so overwhelming. I never felt like I was caught up on the housework. Even when the house was clean, those nagging bits of remaining chaos disturbed me. The unused junk hiding in the kitchen cupboards, the seriously scary laundry room (that's not Mount Washmore...that's the beginning of Hoarders Peak! ), and the closet still crammed with baby stuff and my baby is five years old. I have just realized that maybe home decor isn't a luxury item in the budget. Maybe it is a necessity. Even birds put thought and care into their homes, as temporary as they are. They don't skimp on this year's nest, saving what they really want for the next one. That's what I've been doing. I've been focusing on all the ways this duplex of ours is flawed, rather than on its beauty spots, or ways to improve it. Slowly, I have been starting to put care into my home again. I was trying to be frugal and so I stopped finding this homes potential. But my sell-the-excess-so-I-can-get-what-I-really-want plan has made me realize that I can make this house beautiful. It can feel finished. And I now have a few dollars of leeway. I can buy that perfect thing that is exactly what I needed instead of hemming and hawing over whether I can really justify it and I could probably make something like that and what would Kevin say? I recently bought some of those tie-on cushions for our kitchen chairs. I wasn't going to, because the were $13 each and I needed four and that's over $50... But then I remembered that I could use my stash, and my living room rug had cost less than half of what I planned for. So I bought them guiltlessly. Along with a couple of other things. My rug makes me smile every time I look at it. My kitchen chairs, which were slightly too low for the table are now just right, and the annoying paper towel roll is now securely mounted in a cupboard and off the counter. 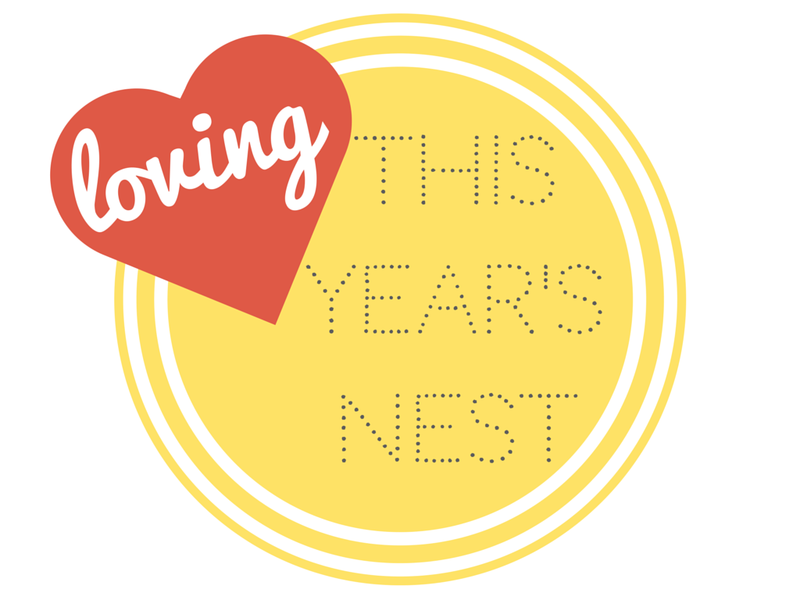 So, do you love this year's nest? Or are you waiting for the next one? There's nothing like putting your home on the market to bring out all insecurities. We did just that last year, and ended up taking it off market and refinancing. I just couldn't bear to hear another list of what needed to be updated or improved. Since then, I've been in recovery mode (I liked my house, darn it!) and just now have summoned courage to invest in my surroundings again. Thanks for the encouragement!